Another great session from this years' Membership Growth Online Summit, this time by Sarah Sladek, CEO of XYZ University. Sarah gave a brief history lesson on Baby Boomers and Millennials and the differences between them. Millennials have been the most protected generation so far. Think baby seats, bicycle helmets, peanut-free schools, living at home with mom and dad after college. This group of young people grew up with technology in their hands and trophies just for participating. They're highly individualistic, admire superheros, and with so many distractions and possibilities coming at them from every angle, time is most important to them. Baby Boomers Out, Millennials In! So here's the problem. For the first time in 34 years, Baby Boomers aren't the majority of the workforce anymore. Millennials are swinging in, and guess what? What they care about is drastically different! Nonprofits have to realize that in order to grow in the long term, they must start attracting Millennials. Diversity is the Way to Go! One great tip Sarah offered, was to have a diverse Board. Don't just bring in the "token millennial", but truly make an effort to have a diverse Board that reflects the diversity of your membership community. Take the 30 30 Challenge! Another great tip, and perhaps the most valuable Sarah offered was that if you feel out of touch with Millennials, take the 30 30 Challenge! Over 30 days, talk to 30 Millennials. It may seem like an arduous task, but you will definitely gain a lot of new insight. 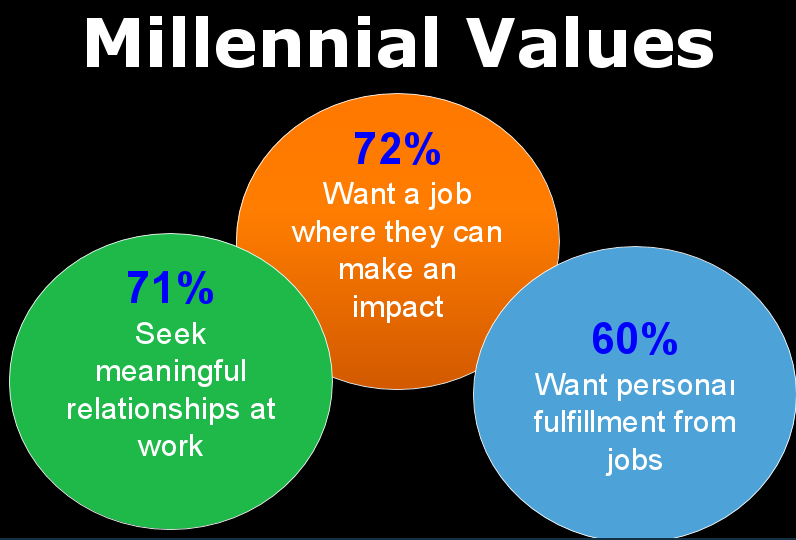 You'll quickly learn a lot about what your organization can do to attract more Millennials. Watch Sarah's full presentation below to learn all about the Millennial generation and how to attract them to your organization.